Drop off the kids and enjoy a night out! On September 29th from 5:30 - 8:30 p.m., we will have a Kids Only Night. 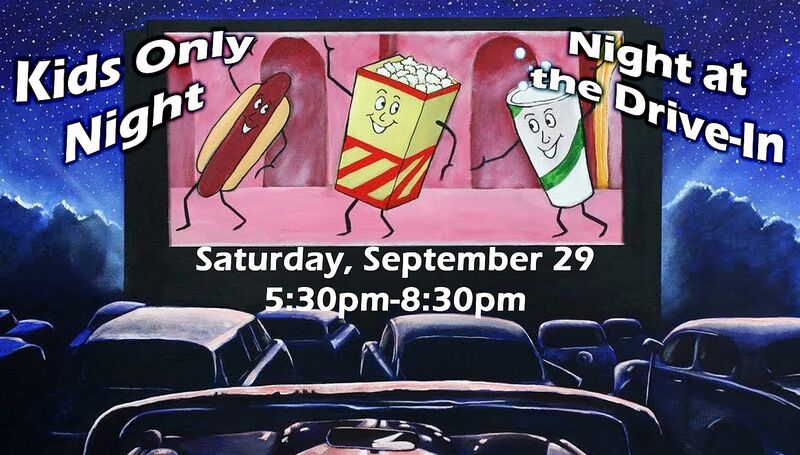 Kids are invited to join us for a night at the drive-in. They will decorate their own "cars," and eat pizza and popcorn while they watch a Disney movie. Cost is $5 per child, $20 family max. This is for children ages 6 weeks - 6th grade; dinner will be provided. Register below and pay at the door. Please Karen if you have any questions.